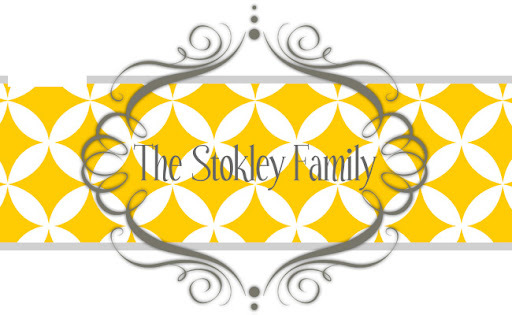 The Stokley Family: What have we been up too? I came in one Sunday afternoon to find Evan asleep in Ry's bed. I just laughed because he is so big in that bright little girls room! Ry finished up soccer. We were sad that it is finished but she's said it finished just in time. This girls doesn't do heat! Dance will be over next Saturday. Thank goodness!! We are OVER dance. Ryan and I had our 10 year high school reunion. Neither one of us wanted to go but I was on student council senior year so the planning fell on us. This will be the first and last reunion I plan or attend. Up until 5 minutes before we left I still wasn't entirely sure Ryan was going to come. We actually ended up having a great time! We ran into this guy! I just love him! So there's some BIG changes coming to the Stokley house in the next few weeks. More to come later. But before that happens I want to do some small remolding and this is on my list. He reminds me so much of Evan. We celebrated this sweet girls 4th birthday! And finished school!!!!!! I was shocked at how different they looked in side by sides. I discovered that I like Tanner's hair longer like the beginning of school. Ryleigh's face really changed. She looks so much older!!!! Now we are just enjoying Summer!!!! I do miss having the Summer off but with my job it's still working out really well. The kids are going to Day Camp which I am hoping they will love. They have gone one day but they didn't go anywhere that day so they didn't love it. So here's to next week! !